Both "Scharnhorst" and "Gneisenau" each had three turrets with 3 guns. "Scharnhorst was lost in the battle of "North Cap" in December 1943. The "Gneisenau", laying in Kiel for repairs after the "Channel Dash", was attacked in an airraid, which damaged turret "Anton". In stead of being repaired, the ship was ordered to Gotenhafen (now Gdynia, Poland) to receive her refitt with 6 x 38 cm guns. She arrived the 6th of April 1942. The refitt would take 12 months. In those months Hitler ordered all battleships to be scrapped, because he had lost all confidence in the German naval surface fleet. All the guns of "Gneisenau" were re-used on the Atlantikwall. 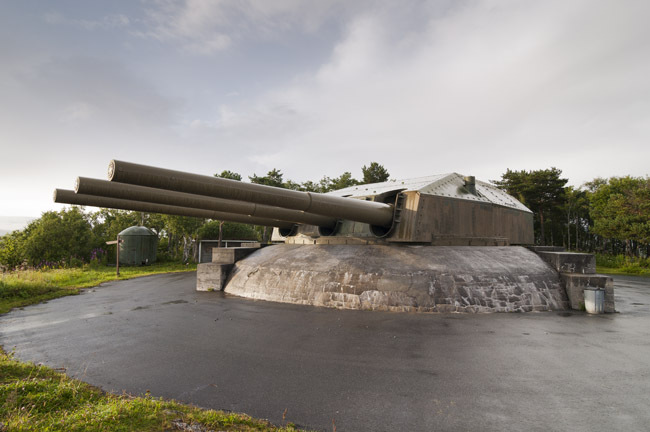 Turrets "Bruno" and "Caesar" were installed in two batteries in Norway. "Caesar" is still visible in the museum nearby Trondheim. The damaged turret "Anton" was probably beyond repair and the wet soil in Holland made it impossible to make a deep shaft. 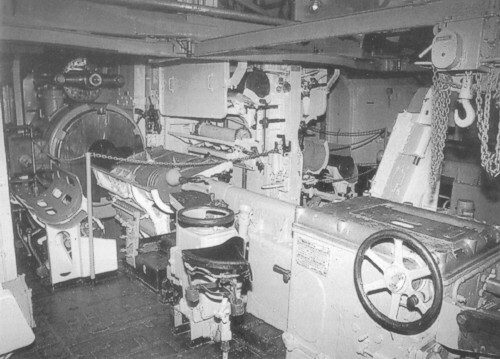 So the three barrels were placed seperate in bunkers of type S 412.